eduSMO has initiated the powerful steps to set Social Networking Trends and helping Top 10 International GSEB & CBSE English Medium Public Schools and Smart Class rooms to improve School’s Social Media Optimization using Social media sites like Facebook, Google+, LinkedIn and Twitter at affordable prices. Imagine what all can be achieved in 2015-2020!! The world of education is (and needs to be) more open. Isn’t it! 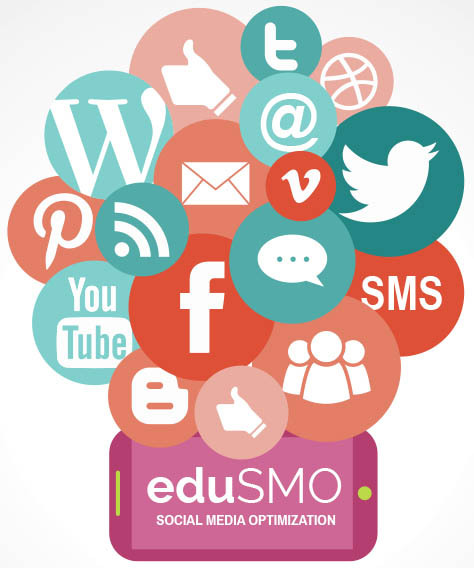 eduSMO will help you monitor Social Media for your School’s brand in the majority of social media sites and applications easily and rapidly with the vision to drive traffic from social media techniques such as social networks, blogs, Posts, Advertisements, Forums, shares & likes. We deliver result oriented and traffic driven Social Media Optimization service to all our School clients worldwide. eduSMO will bring you more students, kids, teachers, principals, parents, academic researchers, who are specifically looking for School Services in your area, directly to you. When it comes to social media marketing, the bottom line is getting results. We’re here too…. Contact us at info@arthinfosoft.in to know more about your current social media statistics and we will consult you how we can just put you to the TOP of Google search.